This Masala Puri is prepared in a different way from the one given earlier. 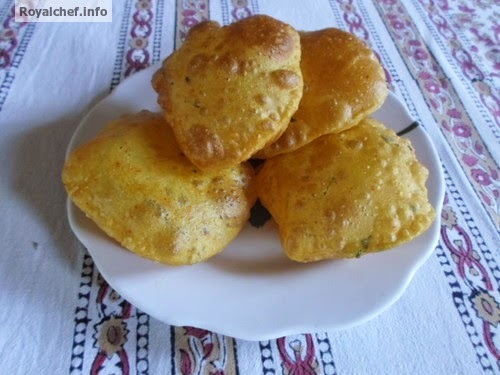 This is a spicy Puri recipe, a great snack, good for the tiffin boxes of kids. Mix the Wheat Flour, Besan, Chili Powder, Turmeric Powder, Kasuri Methi, Salt, hot Oil, enough Water and then prepare a thick Dough. Prepare small balls from the Dough and roll them in a round shape. 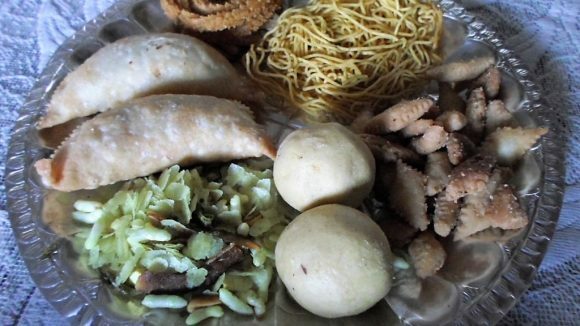 Heat the Oil in a Kadhai and then deep-fry the Puri.